African American Cultural Center Director Moses T. Alexander Greene. It takes some time to explore the African American Cultural Center. Colorful Afrocentric art adorns the gallery walls on the second floor. The library contains more than 7,000 titles by and about people of African descent. 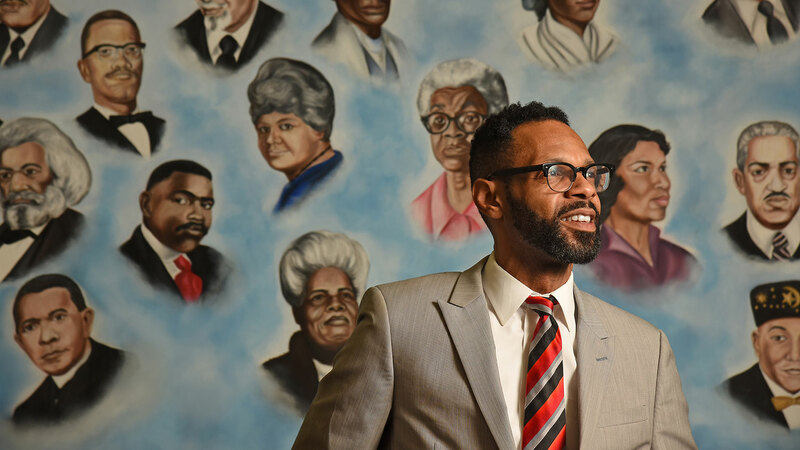 On the third floor, a large piece of art featuring historical icons — among them Booker T. Washington, Malcolm X and Sojourner Truth — greets visitors at the double doors. There are offices, meeting rooms, places to study and an open area with sofas and lounge chairs that invites visitors to hang out. Everything speaks to the center’s purposes. It’s a place to learn about the history and experiences of the African diaspora. It’s a place where black students can be themselves. It’s a place to celebrate African-American culture and pride. The U.S. Postal Service unveils its 2018 Kwanzaa stamp at NC State. 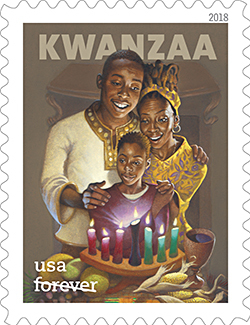 That celebration takes the national stage on Wednesday when the United States Postal Service dedicates its 2018 Kwanzaa stamp in the center’s Washington-Sankofa Room. 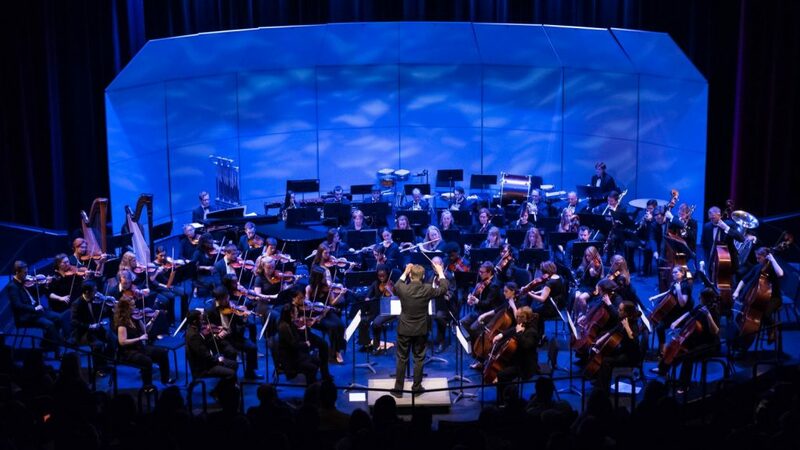 Along with the official stamp dedication, the event will include music, dancing and remarks by notable figures, including the center’s first director, Iyailu Moses, and first program coordinator, Toni “Mama” Thorpe. Director Moses T. Alexander Greene put together the pitch that persuaded USPS to choose NC State’s African American Cultural Center for the unveiling, describing the center’s commitment to educating people about the histories, cultures and experiences of African-American and pan-African people. But the real hard work, he says, happened decades before. The stamp dedication is a significant moment, but it doesn’t mean the center stops persevering. A new generation of staff is continuing the work of advocating for people of color and pushing for equality. It’s been just 60 years or so since NC State saw notable firsts. The first African-American undergrads enrolled in 1956: Walter Holmes, Manuel Crockett, Ed Carson and Irwin Holmes — a tennis player who also become the university’s first African-American athletics team captain. The first African-American faculty member joined in 1962. In 1969, the university offered its first black studies courses, including the Afro-American in America and Black American Literature. The African American Cultural Center was another notable first. Students started out in the basement of the campus YMCA — now Kamphoefner Hall — in 1970. Five years later the center moved to the Print Shop — now the West Dunn Building — also known as “the hot box” for its lack of air conditioning. 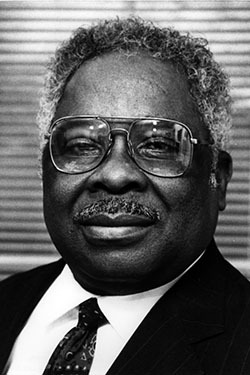 The center opened in its current home in 1991 in the Student Center Annex, now Witherspoon Student Center, named for Augustus Witherspoon, the first African-American teacher in university history to achieve the rank of professor. Augustus Witherspoon, the first African-American to attain the rank of professor at NC State, was one of the founders of the African American Cultural Center. Witherspoon is credited as a founding father of the cultural center, along with Lawrence M. Clark, the university’s second African-American administrator. They wanted students to take what they learned and use it to improve their communities and cities. They also had one particular goal for the center that distinguishes it from others in North Carolina, Greene says. “From our origins, it was important to Dr. Witherspoon and Dr. Clark that the center would be an academic unit,” he says. Greene’s Kwanzaa stamp pitch to the Postal Service emphasized the center’s dedication to scholarship and research. 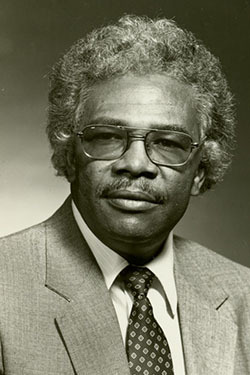 Lawrence Clark, the second African-American administrator at NC State, was instrumental in founding the African American Cultural Center. State Women’s Center for a screening of The Immortal Life of Henrietta Lacks, where students, faculty and members of the community discussed biomedical ethics, race and eugenics. Some organizations are already using the center’s space. Earlier this year the center hosted a Women’s Center photo gallery, “The Politics of Black Hair,” which delved into the symbolism of hair and the obstacles black people face in wearing it freely. Later this month the African American Cultural Center and the GLBT Center will present “Artivism: Advocacy and Activism through Art” with displays by local artists who showcase activism, justice, resistance and self-love. “It’s very important to me that our exhibits are not just aesthetically pleasing but pedagogically intriguing,” Greene says. The center engages in other types of outreach through programming. “What’s on the Table?” is a series of weekly sessions that encourages discussion on Afrocentric topics. The annual Harambee, Swahili for “let us come together,” invites students, faculty and staff to celebrate the beginning of the school year and its potential for individual growth and connection with the community. Toni “Mama” Thorpe was the first program coordinator at the center. 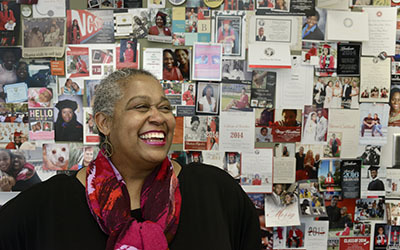 Much of the programming is thanks to Thorpe, who served as the first program coordinator from 2001 until her retirement in 2017. She invited many notable speakers to campus, including King’s daughters; Joseph Holt, whose Raleigh family tried to enroll him in a white school after the Supreme Court’s Brown v. Board ruling; and Pearl Cleage, writer of novels, plays and nonfiction works. Turnout was often standing-room only, and some speakers were taken aback by the audience, Thorpe remembers. 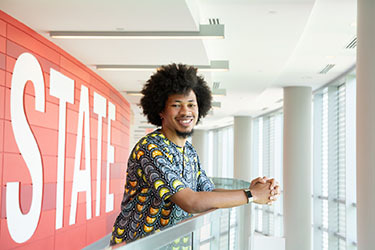 Cultural intelligence means accepting that people of different demographics can live in the same country, state, even residence hall, and have completely different experiences. It means walking in someone else’s shoes — strange and uncomfortable at first. People have to be open to new ideas and viewpoints instead of dismissing them because they don’t align with their own personal experiences. Overcoming prejudice requires honesty, Thorpe says. That applies to all aspects of life, she says, not just race. It applies to individuals as well, especially those reluctant to buck the status quo. Kwanzaa this year begins Dec. 26 and ends New Year’s Day. The seven days celebrate seven principles: umoja (unity), kujichagulia (self-determination), ujima (collective work and responsibility), ujamaa (cooperative economics), nia (purpose), kuumba (creativity) and imani (faith). The center puts these principles into practice every day, plus one more: sankofa, which means “it is not taboo to go back and fetch that which you have forgotten.” In other words, people must look to the past to understand the present and work toward a better future. It’s been just 60 years since those historic African-American firsts at NC State. Three generations don’t erase centuries of oppression and discrimination, Greene says. The official endings of slavery and segregation didn’t automatically wipe out their effects. African-descended people must still overcome stereotypes, perceptions and expectations — unintentional or otherwise — born of those institutions. John Miller IV often spent time in the center as a student. He now serves as program coordinator. John Miller IV, who took over from Thorpe as the center’s program coordinator, says trying to navigate that is exhausting. The center is one of the places where African-American students can surround themselves with people who share their experiences as people of African descent. Several student resident organizations based in the center, including Peace Church and the Black Graduate Student Organization, provide a sense of community. The staff are there to listen, advise and even offer a hug if needed. Thorpe says the center strives to be a home away from home. It also strives to help students develop as individuals as well as celebrate their communities. The AYA Ambassadors program hones members’ leadership skills by sending them out to represent the center on campus. Students who need help with problems — racial or otherwise — can talk through their options until they find one with which they are comfortable. There is no one-size-fits-all approach, Miller says. The goal is to help students figure out how to confront intolerance and advocate for equality all while balancing their day-to-day lives. Then they can take what they learn and use it to improve their communities and cities — just as Witherspoon and Clark called for all those years ago. It’s sankofa in action — planning for the future, connecting with the past. “Walk in your genius, make your ancestors proud,” Greene says. Thorpe says students who used the center have gone on to become ministers, entrepreneurs, scientists and more, each of them improving their communities, and the world, in their own way. That doesn’t surprise her. 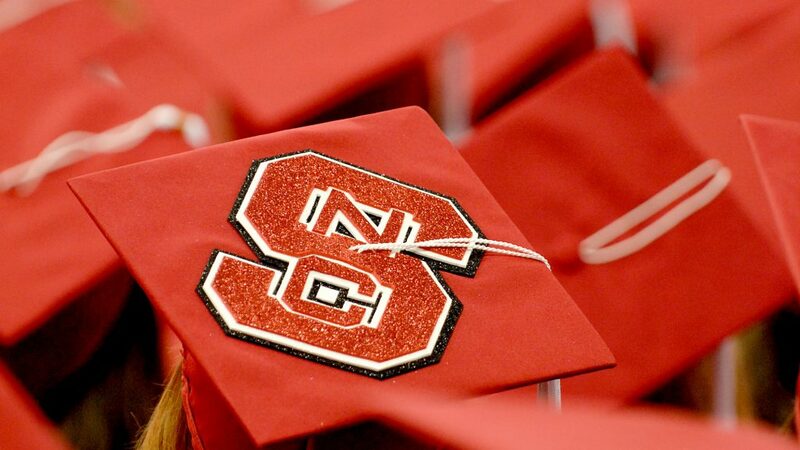 We are forever grateful to the courtesy and regard extended by NCSU over the years to the legacy of the African American experience whose students are born from the loins of an African people . Thank you for remaining student centered to all student groups . When we discussed the establishment of the “New Cultural Center” during my time of service as a former two term President of Society of African American Culture (S.A.A.C.) and two term Chair of African American Student Advisory Council (A.A.S.A.C.) 1987-1989, it was evident that decades of students, faculty, staff and administrators efforts culminated in the visible construction of the “Augustus “Gus” Witherspoon” Cultural Center. The 1st Director Dr. Ilu Moses, and subsequent Directors including but not limited to Janet “Fawoule” Howard, and Dr. Fred Hord (founder of the Assoc. of Black Cultural Centers) and Assistant Director Daryl Lester provided implementation of the vision set forth by ancestors and administrators like Dr. Doris Laryea (English Professor and the 1st African American Professor @ N.C. State hired in 1974), Drs. Joyce and Bobby Pettis (English Professor and Assistant Dean of Engineering), Dr. Thomas Conway, Dr. Wandra Hill ( African American Coordinator PAMS), Mrs. India Hall (Director of Multicultural Student Affairs), Dr. Lawrence Clarke and Dr. Augustus Witherspoon. Moreover, Drs. Clarke and Witherspoon conceptualized, advocated for, organized and obtained funding for the implementation of an educational tour to Africa. As a precursor to the full blown study abroad experience for students, the original delegation of 50 (25 students & 25 faculty, staff and administrators) visited Amsterdam, Holland, Lome, Togo (Village Du Benin) Accra Ghana, and Benin. This experience in the words of Dr. Gregory Washington – forever changed the lives of participants”. There is so much more than can be said, I simply end it here with the notion that again, there is a long legacy of unheralded heroes and sheroes that the Kwanzaa Stamp Dedication and the Augustus Witherspoon Cultural Center represents. Thank you to sooooooo many unnamed, like my Grandfather Clarence Barbour who served as a custodian at N.C. State for 30 years, my mom worked in the Chemistry lab, my aunt his middle daughter obtained her PhD in Chemistry from N.C. State as well as Uncle Otis Evans her husband a PhD in Organic Chemistry, and I my Bachelors in Communication from N.C. State. Thank you to so many for so much. This is wonderful. Sorry I missed the event. 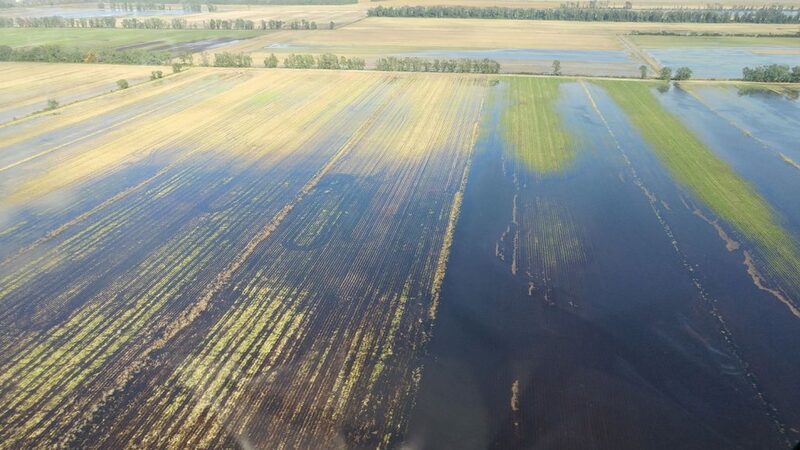 Encouraging story and great information to know. Wonderful! Thank you for your work!